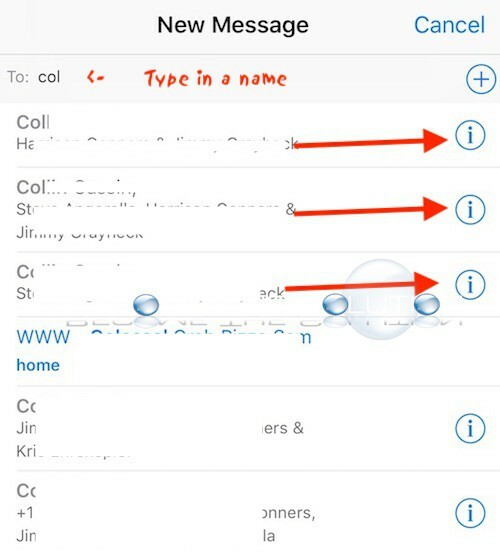 When you compose a new iOS message, are recent message recipient groups showing up and getting in the way of you trying to locate a specific contact to message? This is an extremely annoying and frustrating issue for most of us, as it makes you scroll through recent message recipients to find a particular contact. 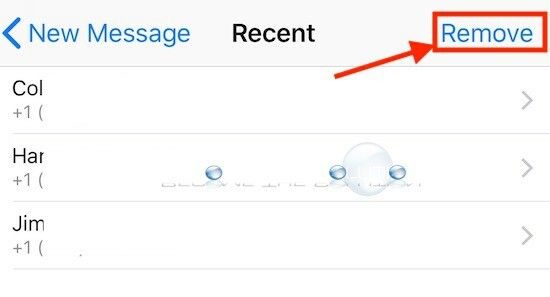 Follow the steps below to clear recent iMessage recipient lists. Begin a new iMessage and type a contact in To: field. As soon as your recent group recipient contact lists begin to show up, select the “i" next to any of these. Is It Possible to Disable Recent Message Group Recipient Contacts? At this time, no. But, to get around scrolling through saved group recipient lists, use “+” button when composing a new message to immediately search for a particular contact in your contact list.